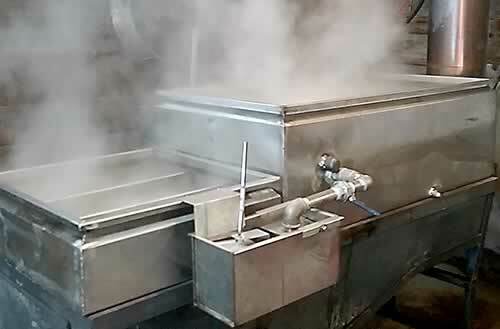 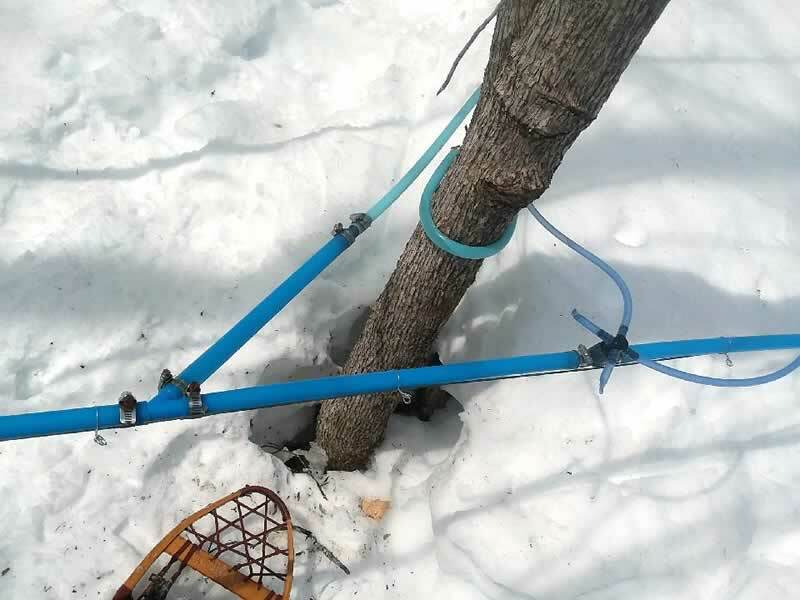 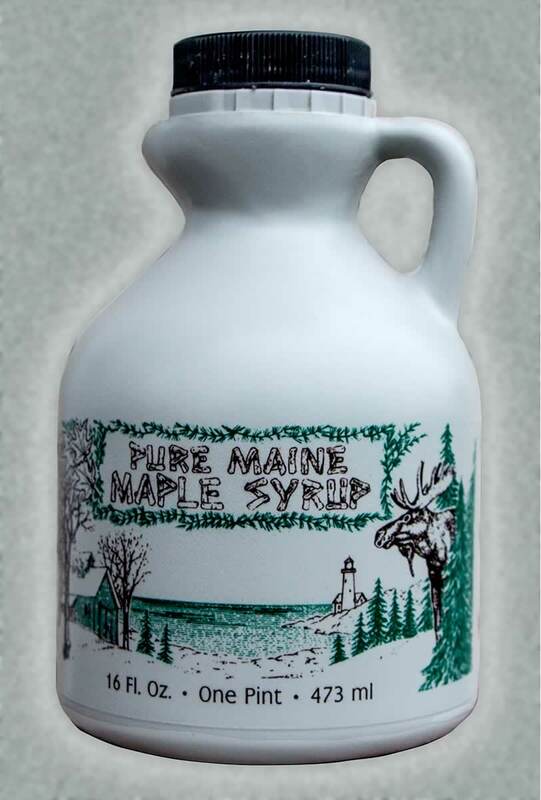 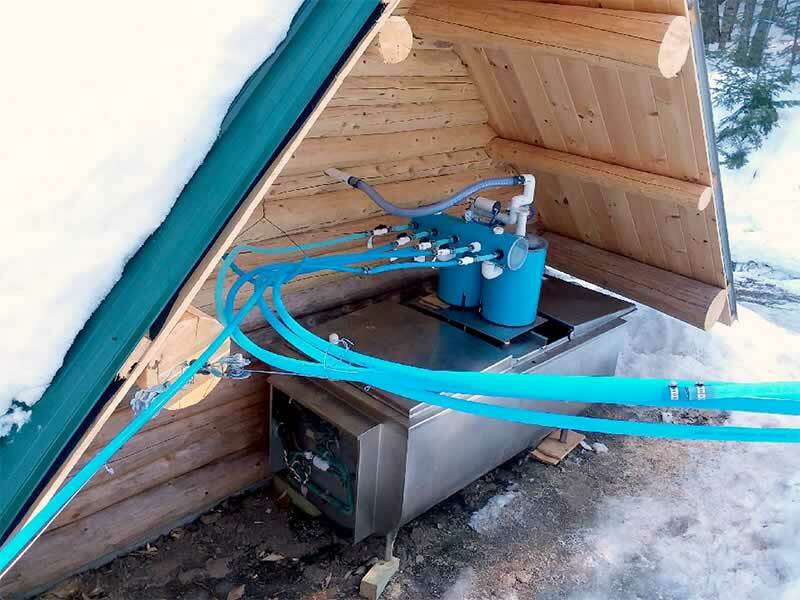 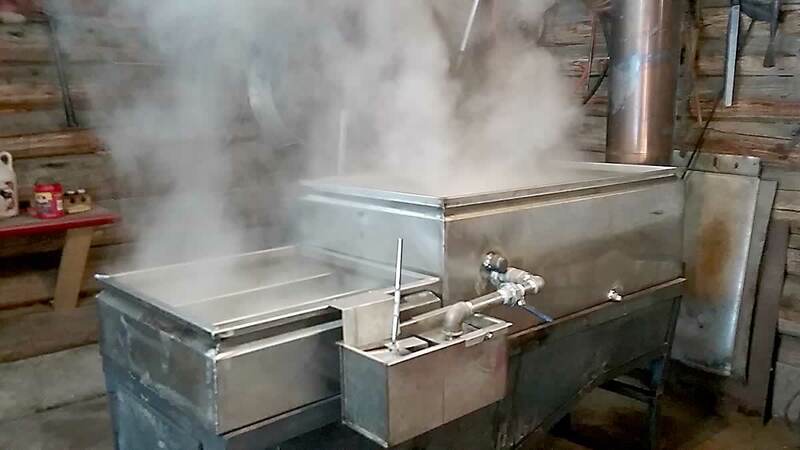 March 2019- We're producing Maple Syrup. 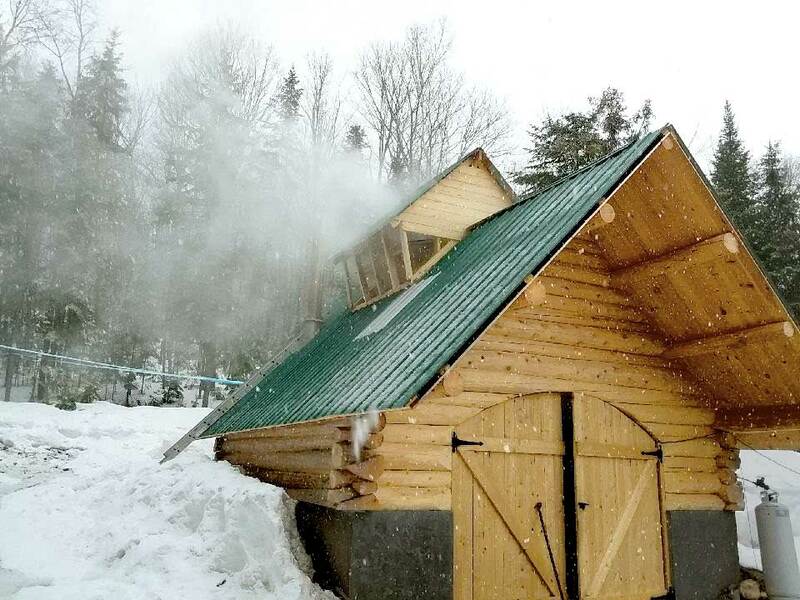 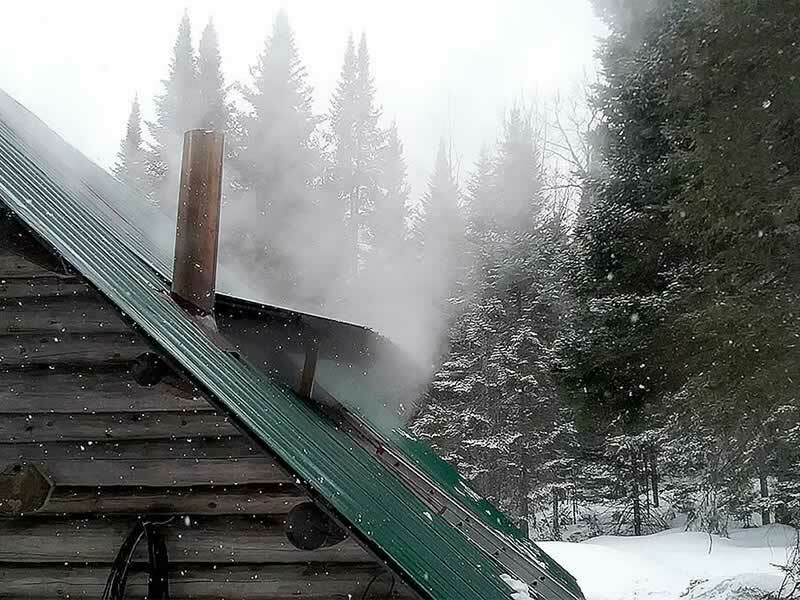 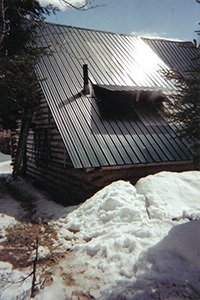 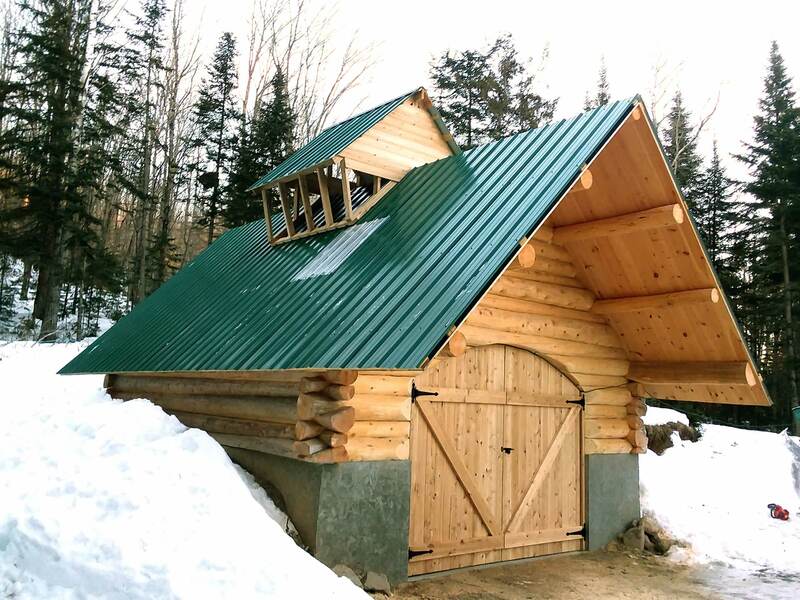 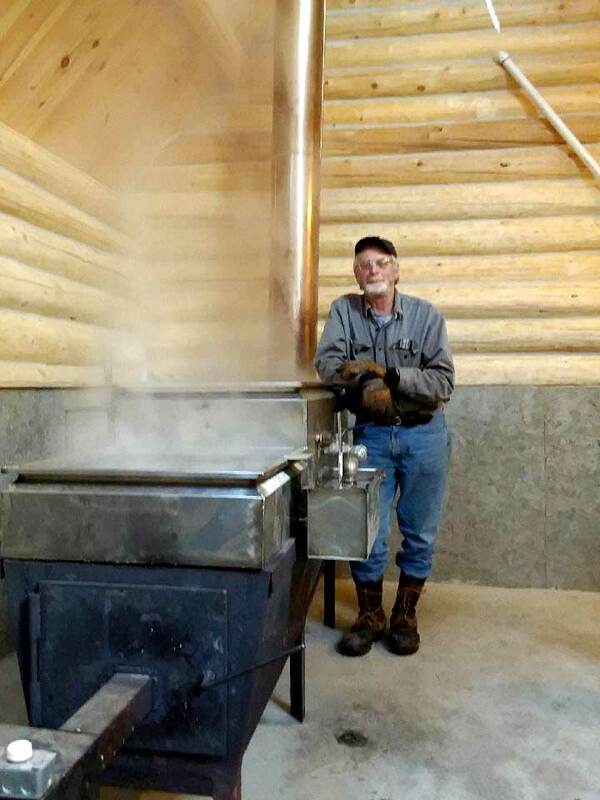 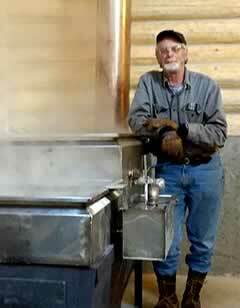 Stop by Johnsons Side Hill Farm to check out the new Sugarhouse and get a fresh supply of Maple Syrup. 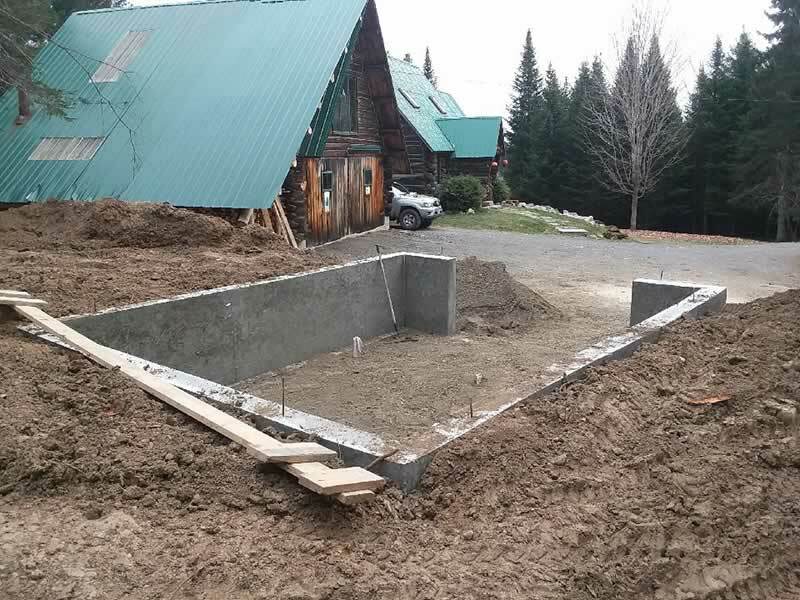 The above photos show the new Sugarhouse construction started late 2017. 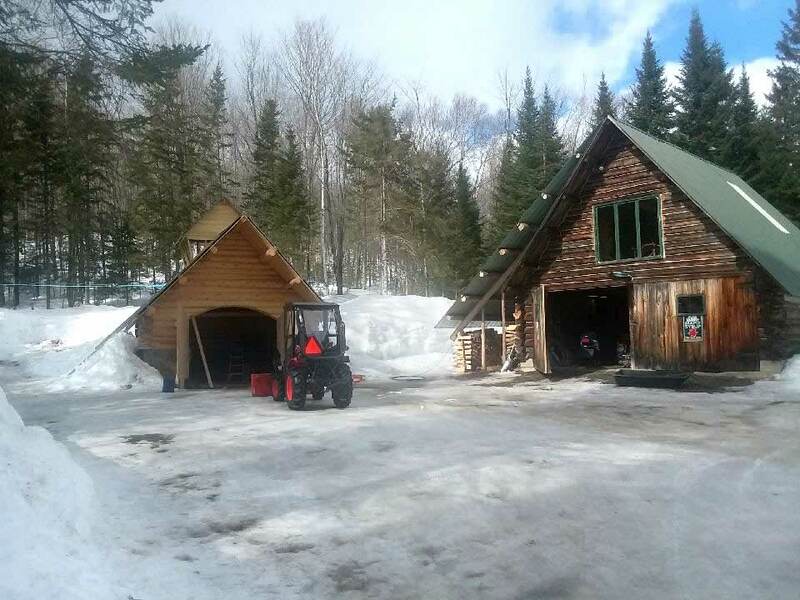 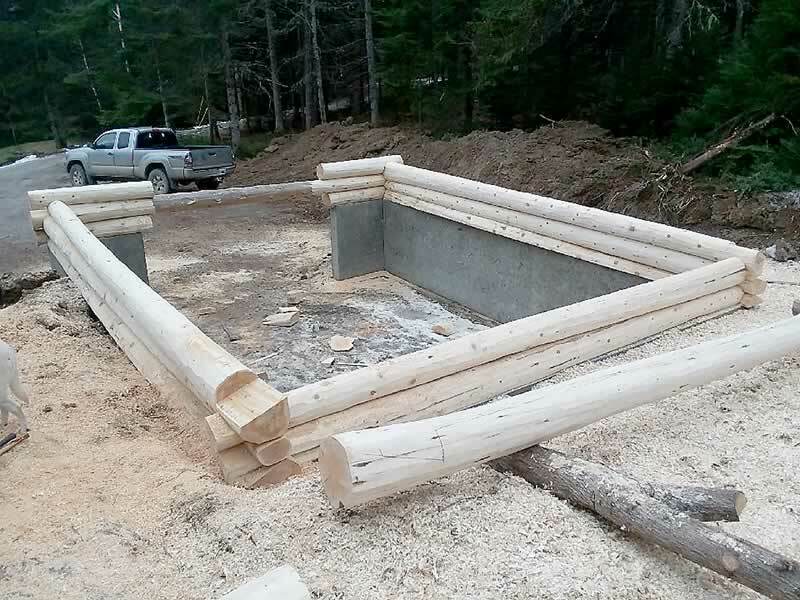 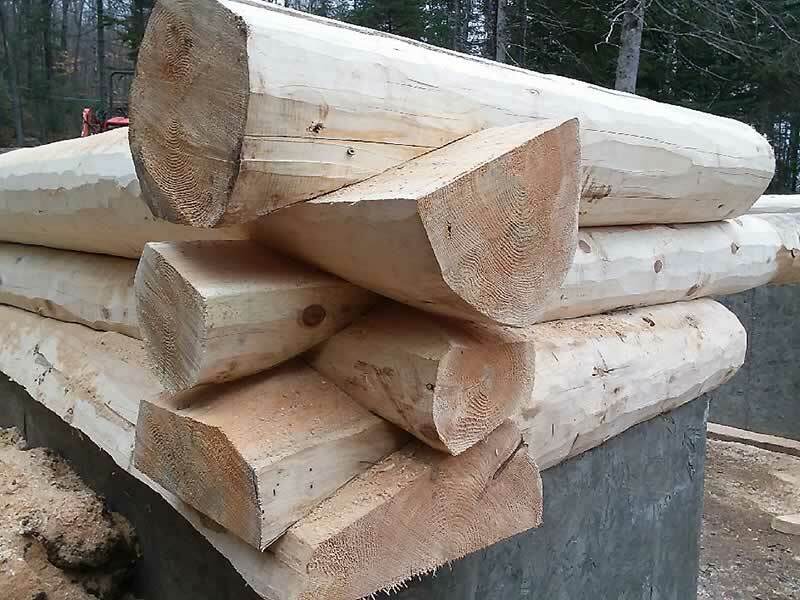 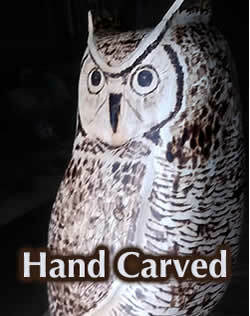 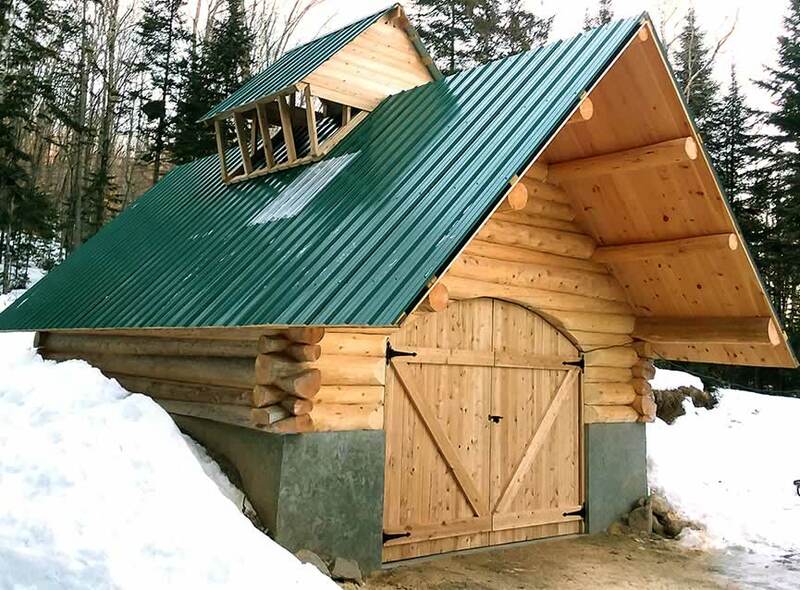 March 2019 we moved into to the new log building at Johnsons Side Hill Farm. 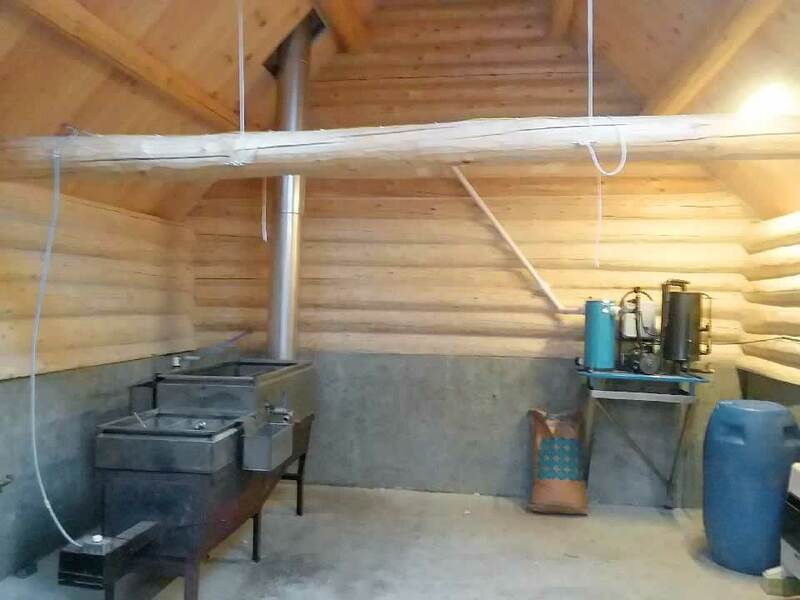 Below is our wood-fired evaporator. 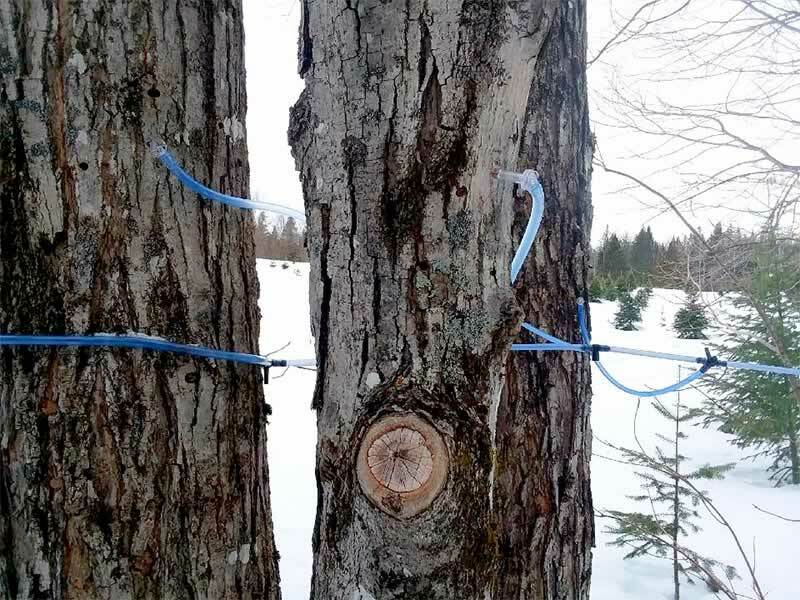 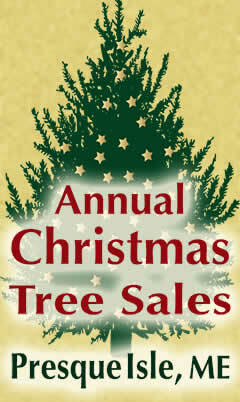 In 2019 we added a new vacuum system and have close to 800 trees tapped.